How IUFRO’s Special Programme for Development of Capacities (SPDC) contributes to enhancing forest science communication within the framework of a Climate Change Adaptation Program in Bhutan. Would you like to see your forest be wrapped up in plastic? Well, this is what Bhutanese society will witness due to a research project that aims at simulating drought, which may affect the region’s forests in the future as a result of climate change. 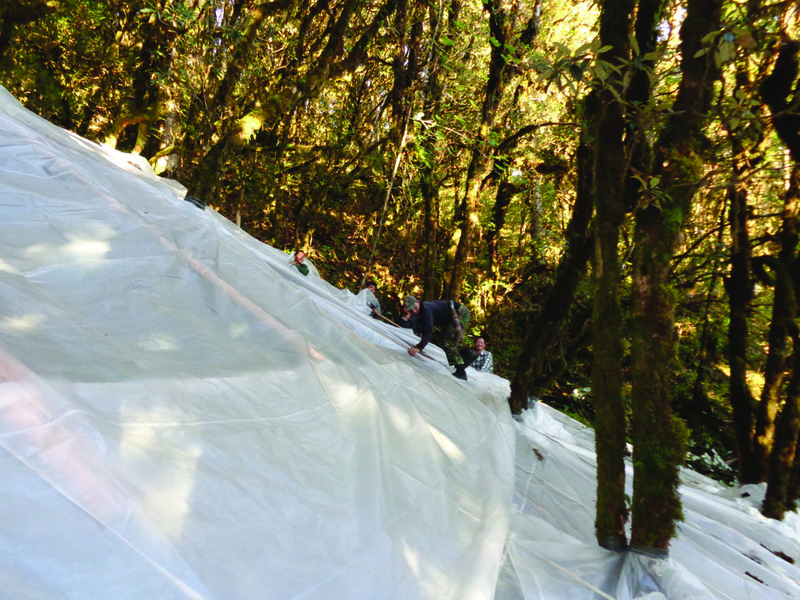 In order to inflict drought stress on mature trees, entire research plots of considerable size have been covered with plastic roofs in about 2 m height above ground level, preventing rain water from reaching the soil and roots of trees. But would local people show understanding for such a measure and approve of it easily?